This custom-assembly (Model 212017) was designed for use in a greenhouse environment subject to high moisture. 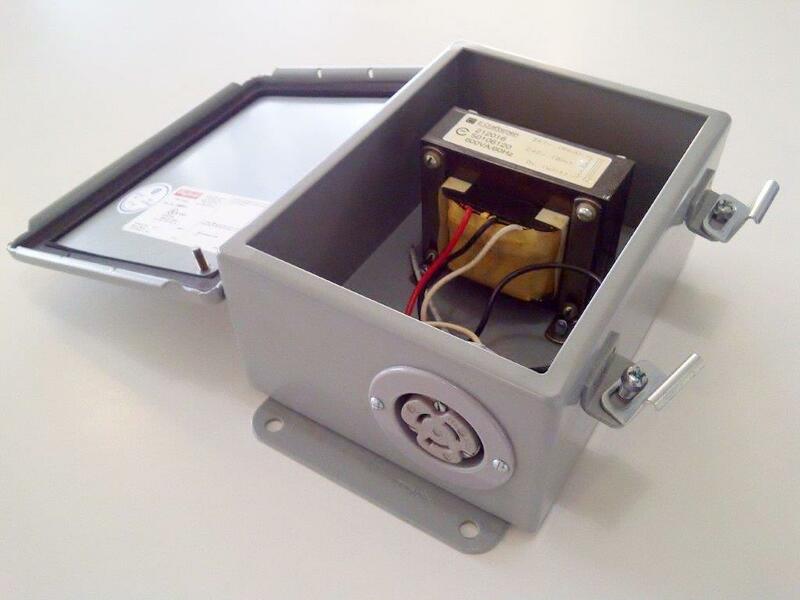 Consists of base transformer (model 212016), rated 600VA, 347:240V, 60Hz, housed within a NEMA 12/13 Enclosure. Provided with a NEMA L6-15R locking flanged outlet (15A,250V). The concept was that the 347V input supply would be conduit connected through a knock-out in the other side of the housing.